A living wage for all workers. A boardroom with the same mix of people as the factory floor. Business that works for everyone. An inclusive economy is one that creates opportunities for people of all backgrounds and experiences to live with dignity, support themselves and their families, and make a contribution to their communities. The Inclusive Economy Challenge is a call to action for the community of Certified B Corporations to improve our collective impact and move toward an inclusive economy. B Corps sign on to participate by committing to making at least three measurable improvements from the Inclusive Economy Metric Set developed out of the B Impact Assessment. In the Challenge’s first two years, more than 250 companies participated, collectively achieving 887 measurable inclusion goals. 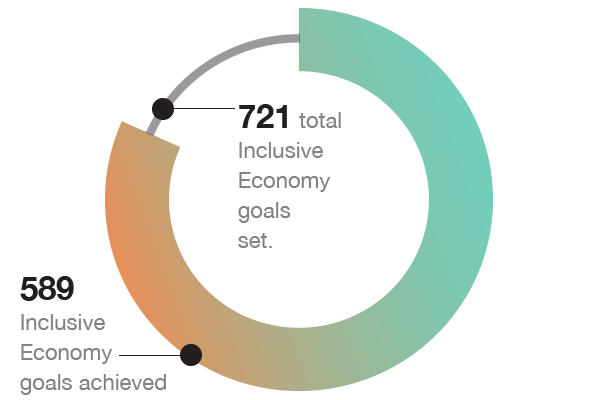 Participating companies choose three or more goals from the Inclusive Economy Metric Set to improve on by August 30, 2019. Improvements will be measured in the B Impact Assessment. 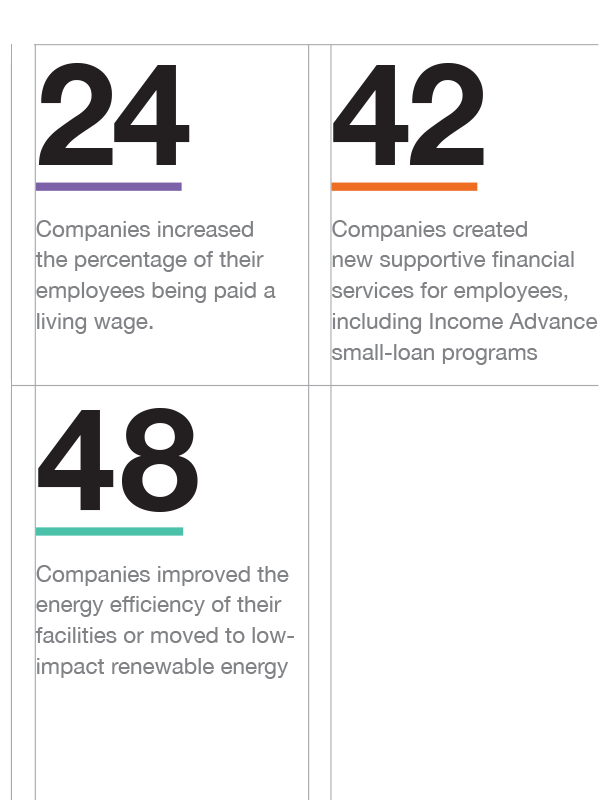 The Inclusive Economy Metric Set offers concrete metrics on themes like supporting vulnerable workers, climate change mitigation, supplier screening and corporate governance. Meaningful change isn’t made all at once. It happens day by day, with concrete, incremental changes adding up to a transformative shift. Already participating? Find everything you need to get started on your challenge. Helpful resources and guides to help your company achieve the you goals set. Each month, we’ll share relevant resources, including step-by-step workbooks to guide participants through the process, best practice guides assembled by B Lab, stories of fellow participants, and content from trusted topic experts. 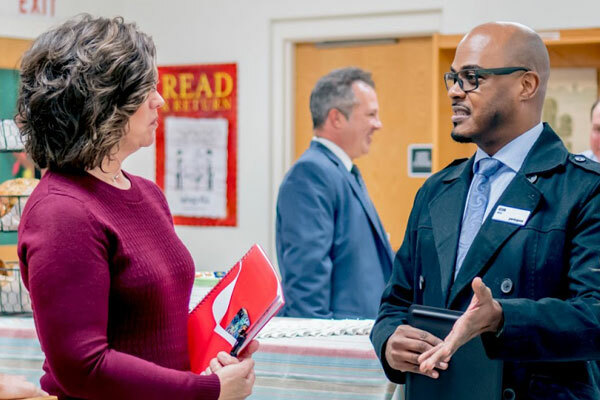 For example, for companies interested in supporting employees experiencing financial insecurity, we’ve created the Income Advance Loan & Savings Guide. Financial insecurity plagues 138 million American workers. If your company is interested in financial inclusion, B Lab has partnered with B Corp Rhino Foods to create the Income Advance Guide: an online course that helps companies offer small-dollar loan programs. This guide will teach you how to implement a program that fits your company’s and your employees’ needs. This program aligns with some of the metrics in the Inclusive Economy Metric Set and can be a part of your goals for the Challenge. Take action to support your employees’ financial health. 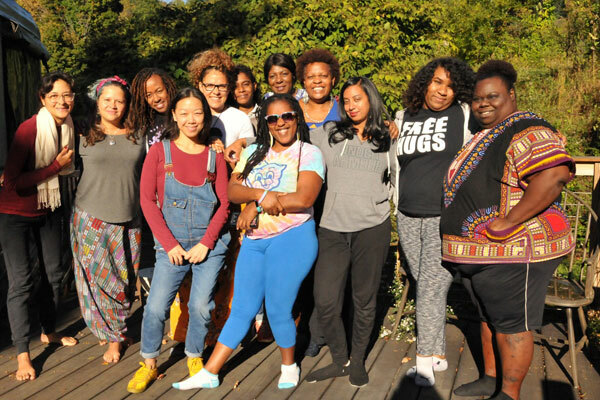 In the Challenge’s second year, 173 companies took serious action, making a cumulative total of 589 tangible improvements to the equity, diversity and inclusion of their businesses. That represents a near doubling of the number of goals achieved by participants last year. We’re proud to share some of the achievements these Inclusive Economy Changemakers achieved. Spotlight on Income Advance Programs: We have a new guide and virtual peer group to help companies develop financial security programs for their employees. B Lab’s participation: B Lab reports out on its own participation in the Challenge, including the hurdles and surprises during its journey. 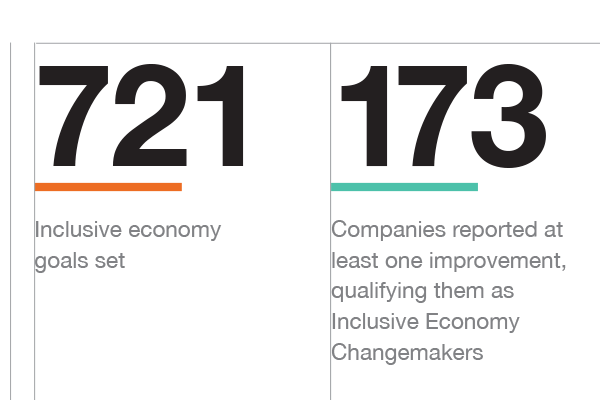 A list of all of our 2018 Inclusive Economy Challenge Changemakers and two Changemaker case studies. By offering a wide range of topics on the Inclusive Economy Metric Set, B Lab aims to give every company a pathway to meaningful participation. Educator Takes Inclusive Values From Students to Employees — B Corp Participate Takes Strides Through Inclusive Economy Challenge. Are You Ready to Share the Power? B Corp Sweet Livity Works on Transformational Change Through Inclusive Economy Challenge.